I remember the day I made this, my Ajebutter1 was home ill and for some reason this stir fry cured her of her illness. It was filled with chicken, peppers and bursting with flavors kai! It’s one of those meals that feels like a hug as you eat. I don’t know why Nigerian restaurants don’t have this as a regular on their menu. I do have an allergy to peanuts, but it isn’t always so bad. 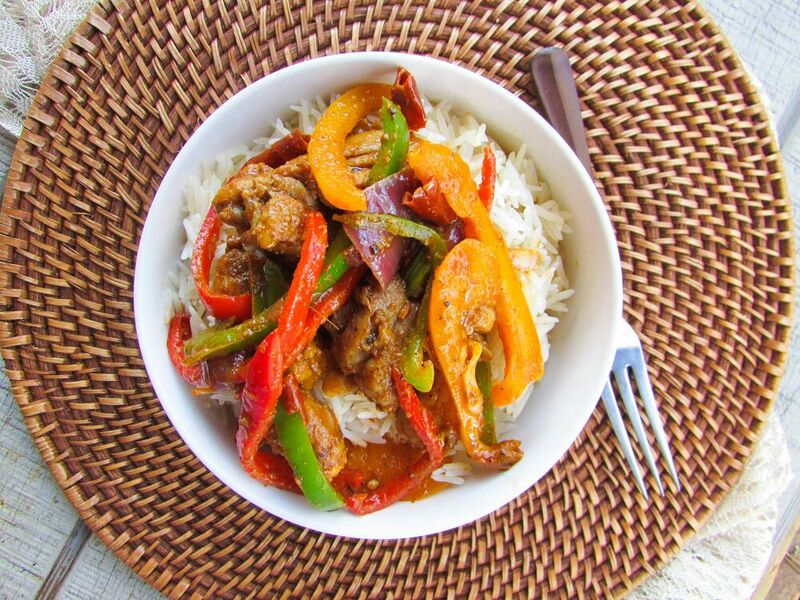 No, I don’t have an Epipen :), but I have a certain way I make my suya spice; which works okay for me. I would share the recipe when I can. 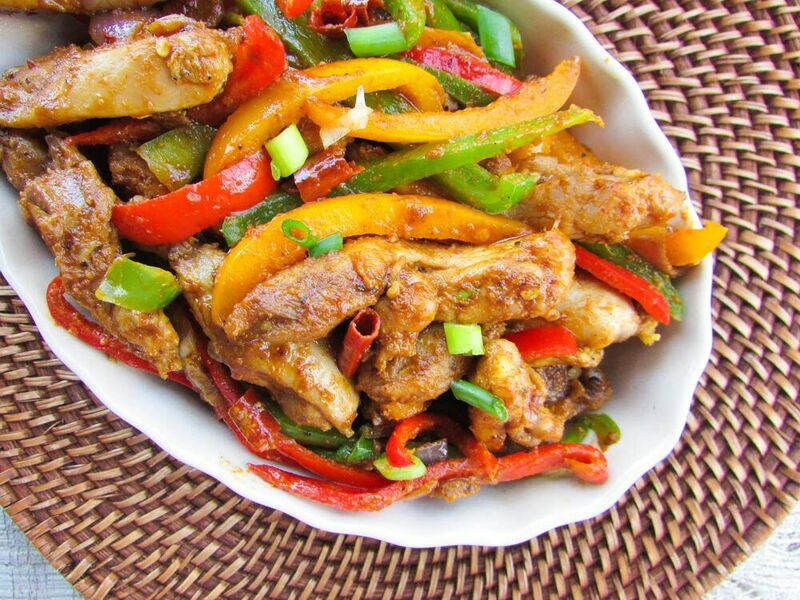 As for this suya stir fry, you go love. I make it for my nut free ajebutter, but without the suya spice. So you see, this recipe is quite versatile. You could even go vegetarian with it gan. Eureka! Wash and pat chicken dry. Season with salt, pepper garlic powder and the vinegar. Let it marinate for 1-12 hours. Meanwhile mix the suya spice with the meat stock to make a slurry if using. Heat the coconut oil add the chicken and sauté until it's brown and cooked through. add the onion and the garlic and sauté until fragrant. 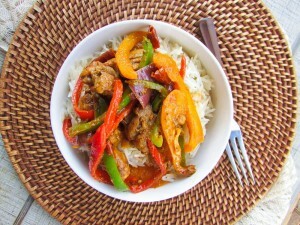 Then add all the vegetables and peppers and the suya spice. Stir fry and add bouillon or salt to taste until well combined. Add the sesame seed oil and serve with any side of your choice. 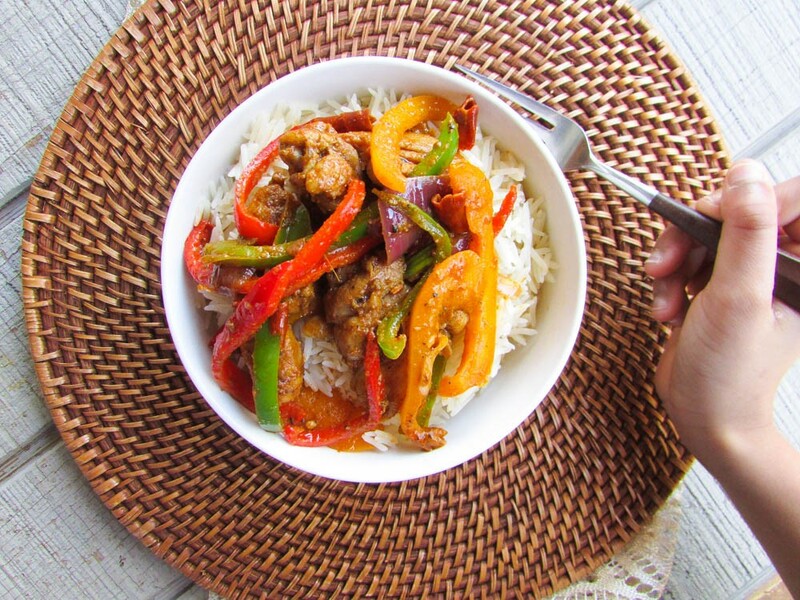 You could go vegan with this recipe should you choose to; just omit the meat. 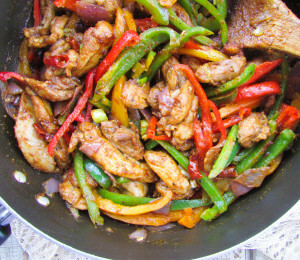 This entry was posted in chicken suya, Healthy Nigerian, Healthy Nigerian Dishes, Healthy Nigerian recipes, Stir fries, Stir fry, stir fry recipes, Uncategorized and tagged chicken suya recipe, chicken suya stir fry recipe, Nigerian chicken suya stir fry recipe, Nigerian food blog, Nigerian stir fry recipe. Baby u go kilie me… U r my home remedy. ? u too much nne… ?chop knuckle biko. … can’t wait to get this set on my table. thanks for sharing Nma.